Drummer / composer / band-leader Kelby MacNayr performs groundbreaking original music; a beautifully crafted blend of innovation and tradition that engages and inspires audiences. The Kelby MacNayr Quintet is a dynamic working group of five of the West Coast's most respected jazz musicians; dedicated to connecting with audiences, bringing together acclaimed musicians, soulful & fresh compositions and an extraordinary musical chemistry. 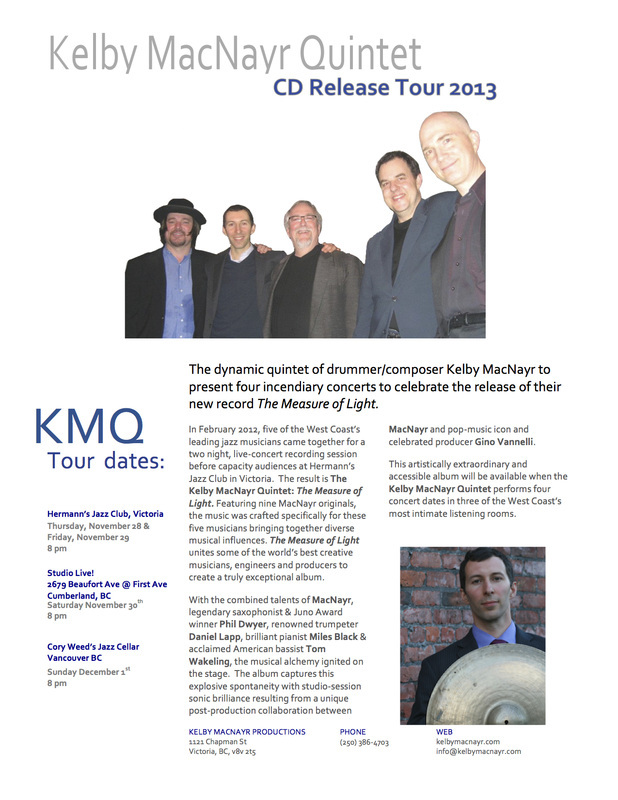 Featuring renonwed musicians from Canada & the US the KMQ draws on numerous musical traditions to create a new, bold and inviting sound in the jazz tradition.